Award winning speaker, author, and ESPN college basketball commentator, Stephen Howard has been presenting and speaking worldwide for the past 6 years. He has been leading, inspiring, overcoming adversity and seemingly impossible odds… his whole life. In his talks, Stephen provides the “wow” that audiences crave, while delivering the substance that event planners value. 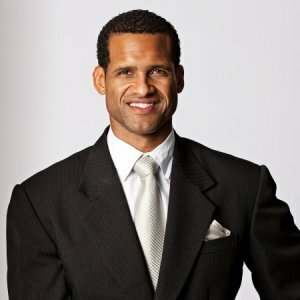 A former NBA journeyman, Stephen Howard uses stories from his journey that took him from a small private school in Dallas, to being a collegiate Academic All American at DePaul University, to the NBA and across the globe, and presently an ESPN college basketball analyst to inspire, motivate, and challenge all who hear his story. Stephen uses humorous and sometime heart wrenching stories from his childhood, as well as his days as a NBA star, to illustrate how the same fundamentals used to become a world class basketball player, can also be used to become your best. Stephen talks about the power of believing in yourself and the necessary steps involved in achieving your dreams.